POS Systems are essential for tracking your inventory and sales, whether you’re preparing to launch your first small business, or own a chain of established premises. But how much does a POS System cost? You’ve come to the right place. Here we’ll be explaining what factors determine a POS system price; covering software, hardware, and payment processing costs, before explaining how you can find the best and most cost-effective POS system for you. You can also use Tech.Co’s free quotes service to directly compare POS system prices for your business. Simply answer the question at the top of this page. Not all POS systems are equal. Even the best POS systems might not be quite right for your unique needs. Here’s a checklist to help you think about which one you’ll want. Size of your business — This has a major impact on the price of your POS. Each additional register or location will cost extra under most POS software plans. A tiny market stall or mall kiosk with no plans to expand, meanwhile, might not even need to pay at all, thanks to the free options available. Amount of features — Perhaps the least surprising cost factor is the sheer amount of features a POS system has to offer. After all, it only makes sense that a more comprehensive, useful system would cost more. If you’re unsure which features will be essential to your business, you can read more about the best ones over here. Quality of features — While most POS systems offer an analytics feature that displays data, some are more complex than others. A more pricey POS might offer more detailed data-crunching options that can help streamline a large business’s operations. Type of industry — Restaurants and retail are the biggest industries with their own types of POS systems, but plenty of niche industries have specialized POS systems that address their specific needs, from pizza delivery tracking to table layouts. Potential for expansion — What’s the five-year plan for your business? If you aim to open a new location, you should take into account how much more your POS vendor of choice might charge you. You can always migrate to a new POS if you need to, but picking one that will best suit your growing company can save you time and effort down the road. A POS system is composed of software that allows employees to make sales and track inventory, plus the hardware that this is run on. A monitor and a card reader are the most important hardware components needed, though many businesses include a receipt printer and scanner as well. Let’s take a more nuanced look at each element that goes into a POS system’s total price. POS software is typically cloud-based, meaning it can be accessed through the internet (generally with an short-term offline mode too, in case of a power outage), and there’s no need for an in-house IT employee to fix bugs. Businesses will pay an ongoing fee, billed monthly or annually, in order to use the software. Size: How many products do you sell and how large is your layout? Terminals: How many checkout terminals does your business need? Locations: Do you run a single location or do you manage a regional franchise? Industry: Does your industry require features beyond the basic POS offerings? The Lightspeed POS is a good example of how price differences can apply: Their ecommerce-specific POS is $59/month, while the retail-specific POS will run you $99/month. Hardware compatibility: Most POS software will be compatible with most POS hardware, so this isn’t a significant concern, but some POS vendors’ software includes proprietary hardware. If you run a single location with one register, the average cost for software is between $50 and $100 per month, though it may be higher if not billed annually. For larger operations with multiple locations and more exhaustive reporting features, between $100 and $300 per location per month is average for the industry. POS hardware is less complicated than software: You’ll need to buy it once, then you can own it forever. However, it will need to be compatible with your POS software of choice. Tablets: iPads are a popular choice for running POS software, though Android devices are also supported by many POS vendors. One of the least expensive iPad purchasing options is Best Buy, which offers a selection of refurbished iPads for between $170 and $300 each, depending on the model. Monitors: If the register doesn’t need to be portable, a simple touchscreen monitor might be the best bet, instead of a tablet. Amazon sells 12-inch POS monitors starting at $160, and 15-inch ones starting at $190. Card Readers: Options for card readers vary. Portable offerings are cheaper than stand-alone ones, while swipe-only readers are cheaper than contactless ones. The Square POS card reader costs just $4.99, but can’t be used with any other POS service. Receipt printers: This produces a printed receipt, and may not be needed if your POS software can email a receipt instead. Barcode scanners: While a stall or a kiosk owner might simply type in the product or search through a touchscreen’s product buttons, a scanner can make checkout more efficient for a larger store. Costs range between $50 and $200. Self-Service Kiosk: This less common hardware setup requires a large stand and monitor, a receipt printer, and a (non-portable) card reader. While the upfront costs are high — they can be anywhere from $300 to $1,500 — a business with a simple checkout process can save far more by freeing up employees who would otherwise be checking customers out all day. Hardware costs can vary a lot, depending on your needs. A small business owner with just one or two employees may only need to buy a few iPads for under $500, while a mid-size or larger store might need three monitors, three receipt printers, and three scanners, for a hardware budget of over $2,500. Costs may be even higher for industry-specific needs: Restaurants, for example, may want every server to use an iPad in addition to the hosts. What’s left after considering software and hardware costs? Payment processors. These third-party services aren’t exactly part of setting up your POS system itself, which means they can easily take a new business owner by surprise. Every time a customer uses a credit card, you’ll need to process the payment, and the costs comes out of your revenue. Some POS software systems serve as their own card processors, taking an additional percentage beyond their monthly fee. 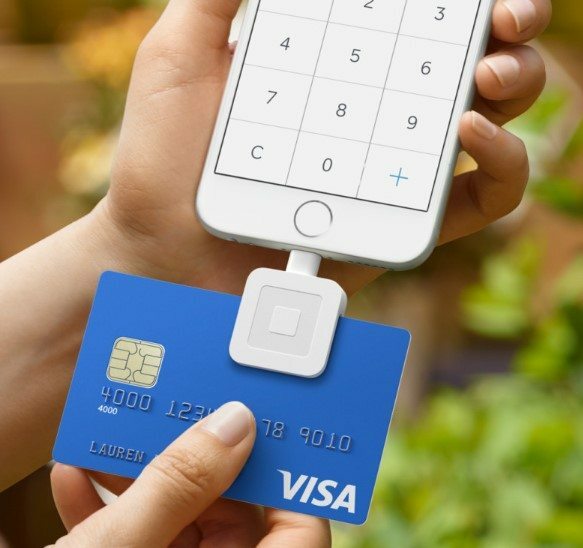 It shouldn’t be more than 2.4% per transaction though, with the exception of Square’s 2.75% charge (Square gets away with a high per-transaction price tag because it doesn’t charge any monthly fee at all). Ultimately, your POS System cost will come down to a number of decisions and factors relating to your business needs; there’s no set number. For a new business, learning about all of these variable price points for software, hardware and payment processing may seem overwhelming and expensive. But in reality there is a huge amount of flexibility to make your POS system work for you. If you don’t mind limited features and already own an iPad, “free” is even an option. Let’s take a look at two case studies: A small business and a large one. A small store with just a dozen products to sell — a cronut store, let’s say — won’t have the large kitchen personnel to justify advanced POS features. The cronuts are first-come-first-served, not baked to order, so there’s no need for detailed kitchen-to-server communication. Only one cashier is on duty at a time, so the POS software is limited to one register at one location, with one iPad, one iPad stand, and a card reader. Total POS system cost: Around $1200, including between $720-$1,000 for an entire year’s worth of a POS software plan priced at ~$60-$80/mo. A large store — let’s call it a thrift shop — will need both larger amounts of hardware and a more advanced software. Detailed reports from a higher tier of POS software plan can help the store manager know which products sell faster or at a high enough price point to justify ensuring they’re in stock, or giving them a store display. A row of five monitors, card readers, and receipt printers keeps the lines moving. While the software plan is needed for five registers, many POS vendors offer deals for accompanying hardware (the restaurant POS TouchBistro, for example, offers a $249/month plan that covers five registers). Total POS system cost: Around $6500, including $3000 for one year of a professional POS software. Most single-location businesses can expect to land somewhere in between. Initial costs will be lower if you opt for a card-processing POS like Square, though monthly charges will be higher. The only way to ensure you’re getting the best deal on your POS system is to directly compare tailored price quotes, for your specific business needs. Comparing how leading suppliers would fit your business, side by side, will enable you to make the most informed decision. Tech.Co can help you do this, with our secure and quick comparison form. Simply click the green button below to get your free price quotes today. Collect and compare tailored price quotes from a range of POS system providers in just a minute.